Artist Mark Raats has created another wonderful Blade Runner piece, this time with Rick Deckard as the subject of choice. 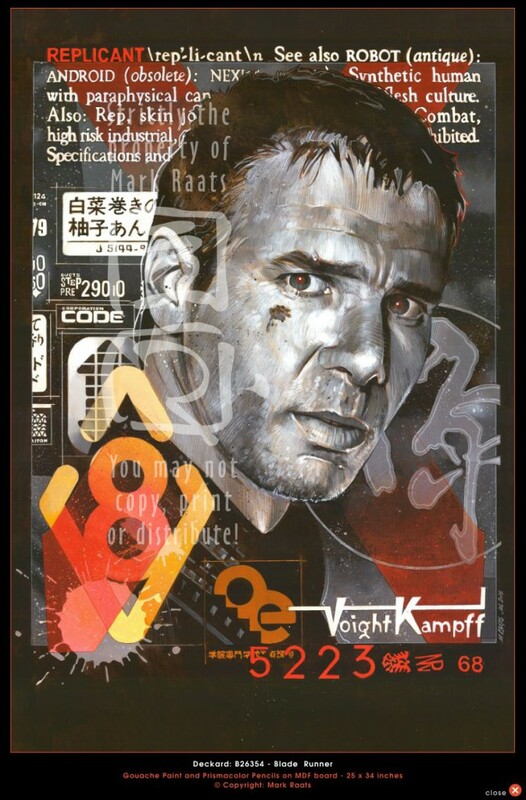 The piece is called “I’m Deckard – B26354” and was created using Gouache paint and Prismacolor pencils on board – 24 x 36 inches. You can find more of Mark’s amazing artwork at his website (His Blade Runner art can be found clicking “Hollywood” and then “Blade Runner” but be sure to check out his other artwork too. You can also visit him at Deviantart. Denis Villeneuve, director of “Enemy” and “Prisoners” is according to IMDB set as director of the still untitled next Blade Runner movie (Blade Runner 2) and it is also now sure that Harrison Ford will be in the movie (which some sources report will “come out” in 2017). Andrew Kosove & Broderick Johnson are producing the movie (for Alcon Enterntainment) along with Bud Yorkin, Cynthia Sikes Yorkin and Ridley Scott (source) and original screenplay writer Hampton Fincher collaborating on the script together with Michael Green (and according to IMDB also Ridley Scott). Now, with Harrison Ford (being said) to reprise his role, does that mean that Deckard is human ?. 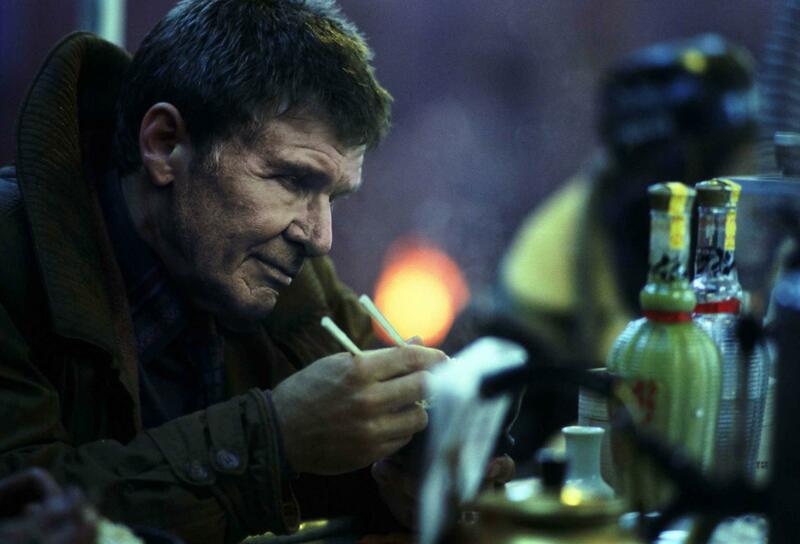 Could Harrison Ford perhaps play the character that they cast Rick Deckard from ? Post a comment and tell us what you think!